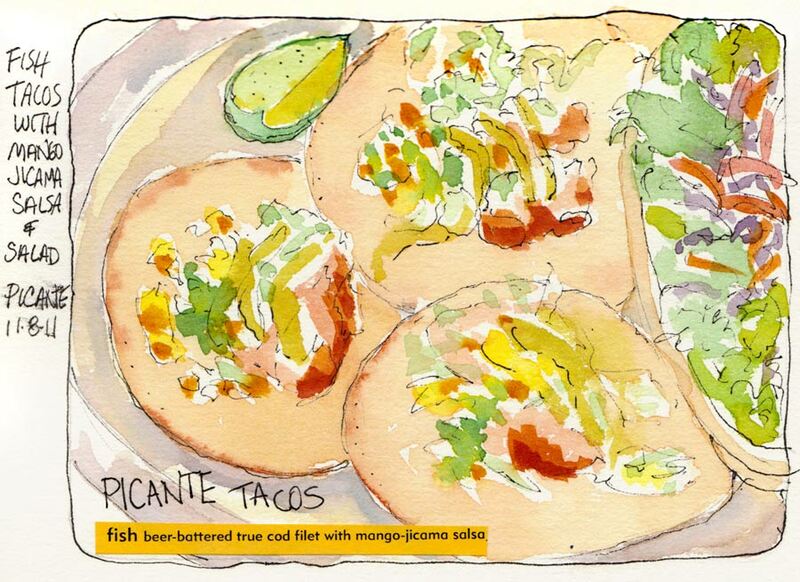 The Taco Maker, ink & watercolor, 5x7"
Picante was quite crowded on our Tuesday night sketchcrawl. Sonia arrived early and saved us a booth but since I was last to arrive, my seat faced the wall, without a view of anything to draw. 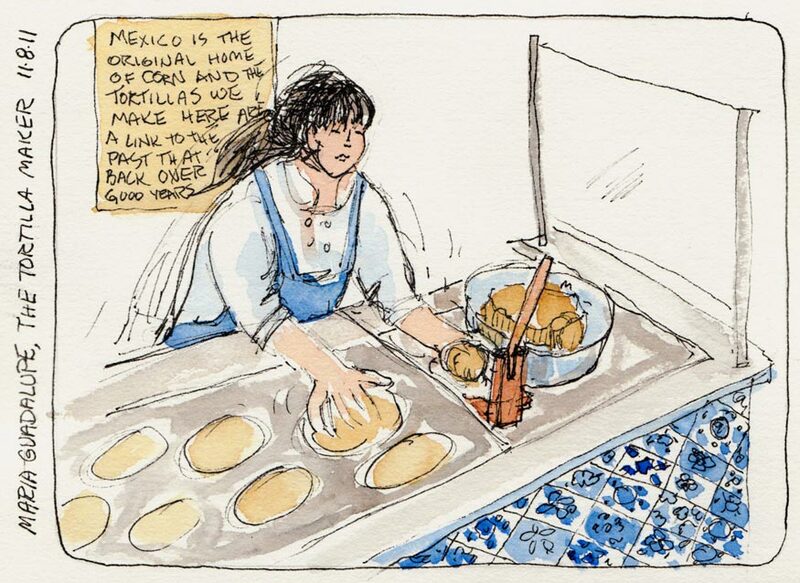 I decided to wait until after I ate to find a spot to stand and sketch the tortilla maker. She was amazing, in constant motion, pulling dough from the bowl, rolling a ball, placing it in the wooden press, squeeze, put on grill, move the tortillas around, squeeze another. Fish Tacos and salad, ink & watercolor, 5x7"
My dinner was delicious: fish tacos served on Maria’s freshly made corn tortillas and drizzled with avocado sauce. Yum! Picante is one of the best Mexican restaurants in Berkeley with a friendly, festive atmosphere and delicious food made with high quality ingredients. OMG! I wanted to reach right in a pull out a taco. Yummy, juicy, great! Looks great! And you sure made the best of a not great sketching position. Good for you for persevering until you got a sketch! I want to see all those blue and white tiles!